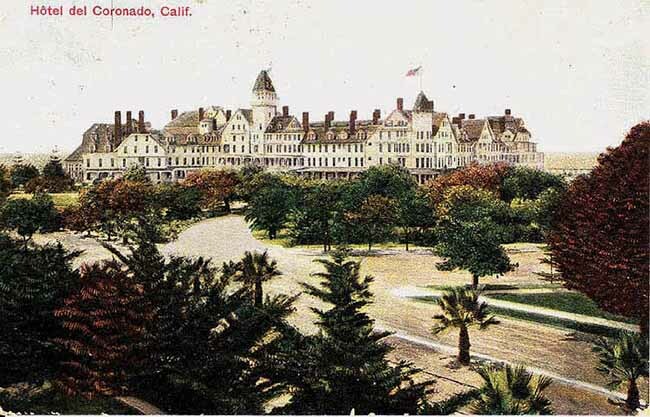 Leslie Crawford moved to Coronado in 1965 when her father got orders to North Island Naval Air Station. In 1969, at the age of 10, she rode one of the last car ferries to cross the bay before the opening of the bridge. 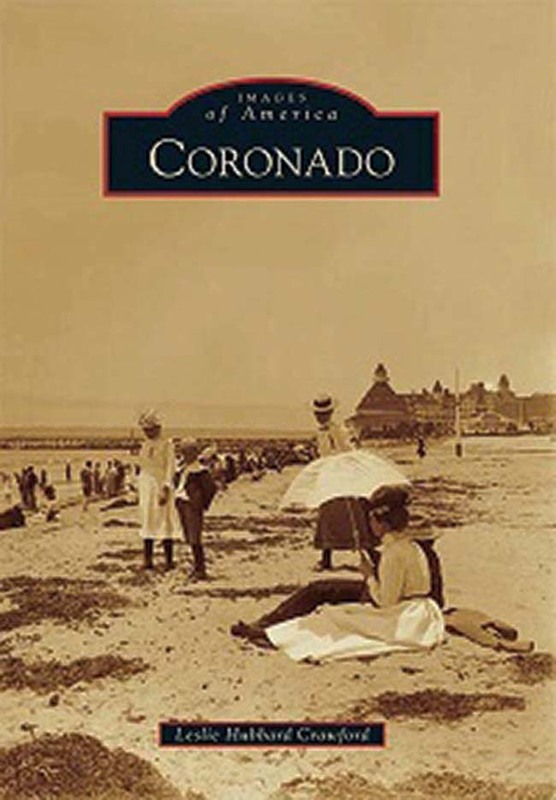 So she knows first-hand a thing or two about Coronado’s history and its evolution over the years. Between her experiences as a child growing up on the island and her family’s love of art (her father, Don, has shown his art in Spreckels Park’s Art in the Park for more than 40 years), Crawford has cultivated a hobby that seamlessly combines the two: collecting postcards and other pieces of artwork from the island’s days of yore that piece together the rich tapestry of Coronado’s past. 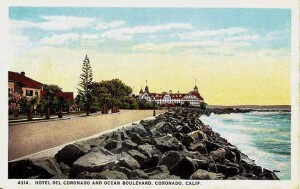 Crawford had always found Coronado history fascinating, and in 2007 began collecting vintage postcards she’d come across on her travels and especially on eBay. 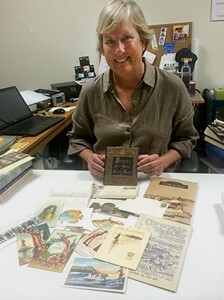 In 2009, when her collection had grown to about 40 vintage postcards, she reached out to Arcadia Publishing with a book idea in mind. The publisher, which was working on a series called Images of America, had been looking for someone to cover Coronado. Crawford had a good start with her collection, but not enough. 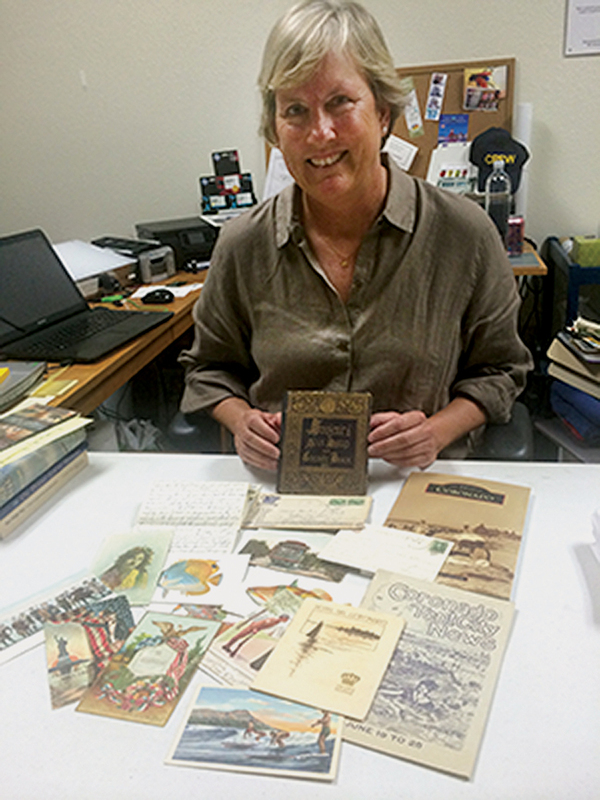 She immediately began a quest to gather 200 more pieces of ephemera — both postcards and historical images — to constitute a book. 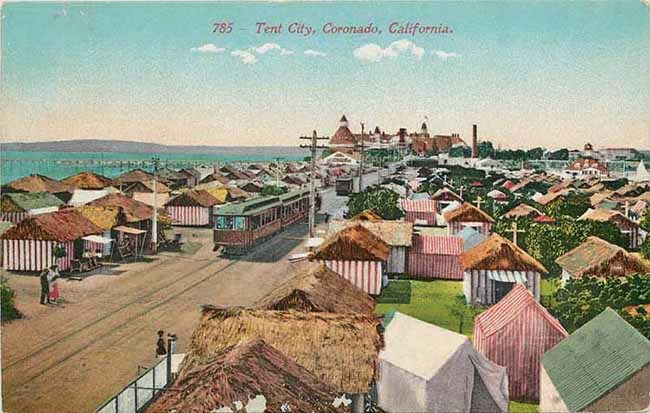 Crawford organized the book into historical subjects such as its early history, Tent City, ferries, and tea gardens — and told the stories through the images she’d collected and the captions that described them. She continued collecting avidly, poring over online auction sites like eBay for treasured finds. Over the years she’s come across rare 1917-1922 aerial photos of North Island Naval Base, a 1953 Naval Air Station Annual that featured Marilyn Monroe on the cover as “Ms. NAS” (she lost that bid) and even a retro series from 1972 (an era Crawford remembers well from her youth). Crawford said she often finds herself bidding against the same three to four people on various pieces of Coronado history. Last year, while giving a lecture on the history of Balboa Park, she discovered that a man in the audience was another collector she’d often bid against online. It was a happy encounter; he ended up sharing a lot of his collection with her. Many of his pieces are what Crawford describes as the “holy grail” of postcards: photos that have not been retouched or altered. “For historical and research purposes those are really important,” she said. 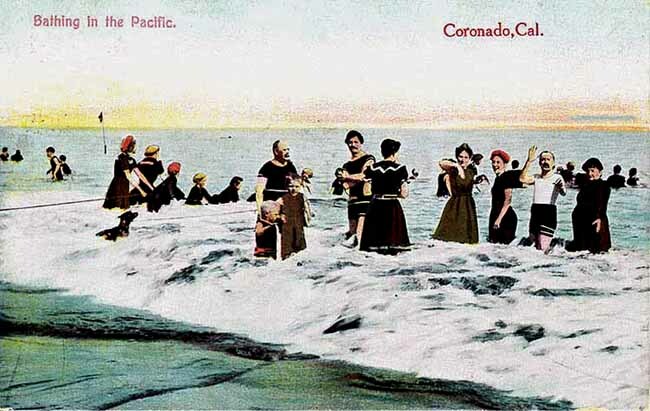 Her collection of ephemera — much of which is housed in the Coronado library’s archives — has now surpassed 2,000 postcards. (To peruse the impressive collection, which is protected in archival books and have been databased for research purposes, make an appointment with the library archivist, Candice Hooper.) She’s also recently launched a website where visitors can own a piece of the history; reproductions of many of the vintage postcards are available at vintage-photoartz.com. 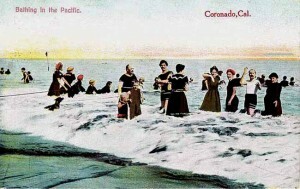 Around the same time she began collecting postcards, Crawford launched her popular website, welcometocoronado.com, because she hadn’t seen other sites like it representing Coronado at the time. “Coronado is such a visual place, and I wanted to highlight the great things about visiting and living here — no news, just fun.” The site gave her a place to showcase her love for the island, some of her interesting finds, and add her own photographic art of her hometown (almost all of the photography is hers unless otherwise credited). The site now gets more than 20,000 viewers a month. 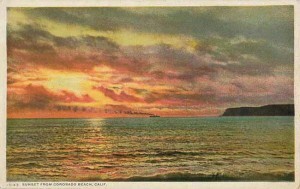 Through her research and collection, Crawford has learned that postcards were (and perhaps still are) mainly produced as marketing efforts. 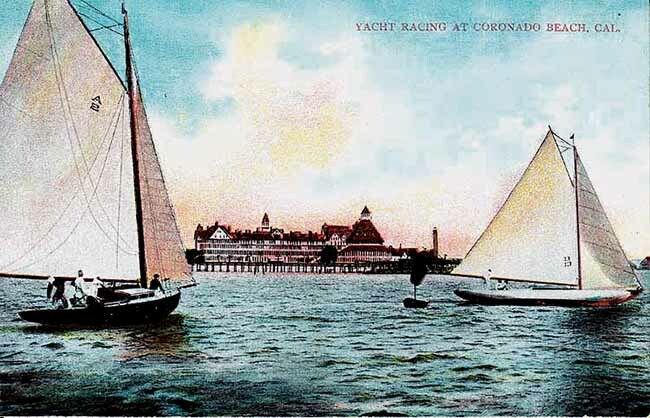 “I was surprised and impressed by the level of marketing for Coronado in the 1880s. Trains had just come to California, people were traveling en masse for pleasure for the first time ever and this whole new form of marketing was emerging to bring people out here,” she explained. One postcard Crawford has been particularly amused by is a black and white sketch drawing of a flea, with the title “Coronado’s First Resident.” “I’m pretty sure whoever was in charge of marketing for Coronado was mortified when that came out and bought them all up, which is why this one is so rare,” she said with a laugh. She’s also been intrigued by the culture of postcards. “It seems that the majority of postcards were marketed to — and primarily used by — the middle class,” she said. 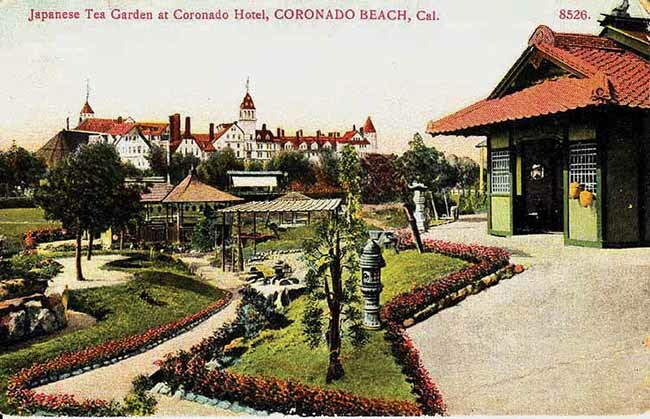 She explained that a lot of activities and places, typically enjoyed by wealthier visitors, such as the Coronado Country Club and the polo field, don’t exist in postcard form. 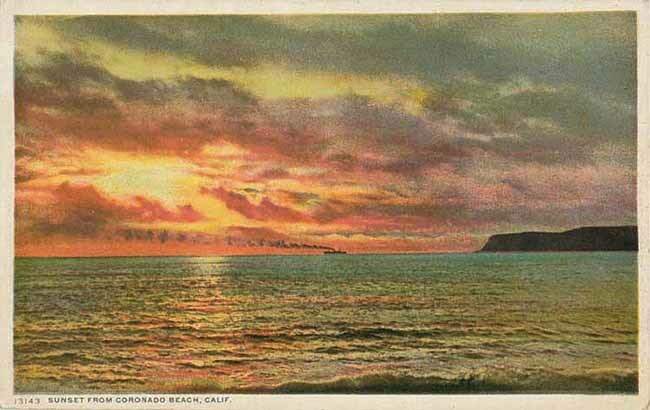 Crawford has also never really come across anything juicy written in the postcards she’s amassed. “What really amazed me through this vast collection was how little people actually wrote on postcards. Mostly they share small tidbits about travel plans to places like Los Angeles, and there are a lot of thoughts about the weather. Visitors often commented on how surprisingly cold the ocean breezes are here,” she said.